Disclaimer: I purchased this candle and my opinions are my own for this review! Sunday evening was the most pleasant time for me to enjoy this Citronella candle on the porch! I was outside for 30 minutes and enjoyed the pleasant smell of this candle's fragrance and I literally had a "bug-free" experience!! This is so important for me because I want enjoy cool summer time evenings without worrying about pesky mosquitoes, which carry West Nile virus, which will compromise my health condition. 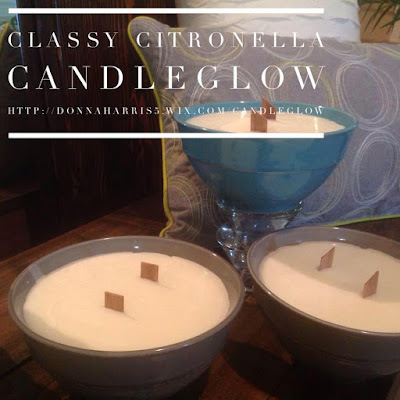 Ms. Donna has variety of artisan-crafted soy candles in various home scents to enchance the home and outdoor areas!! 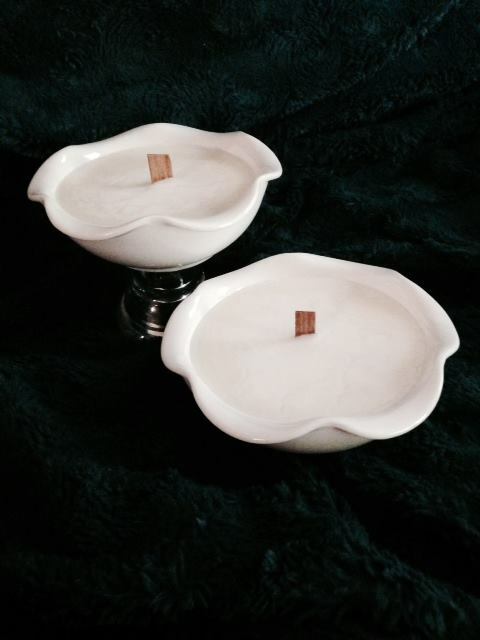 The designs and scents of her candles make excellent home welcoming or hostess gifts, bridal, and additional occasions!! Below is her website page to purchase her candles and support women businesses! !